Efes Pilsen signed a contract with Erwin Dudley (Ersin Dağlı), the successful player of Türk Telekom. The Turkish player of American origin, who plays as a power forward player, is 29 years old and is 2.04 meters. 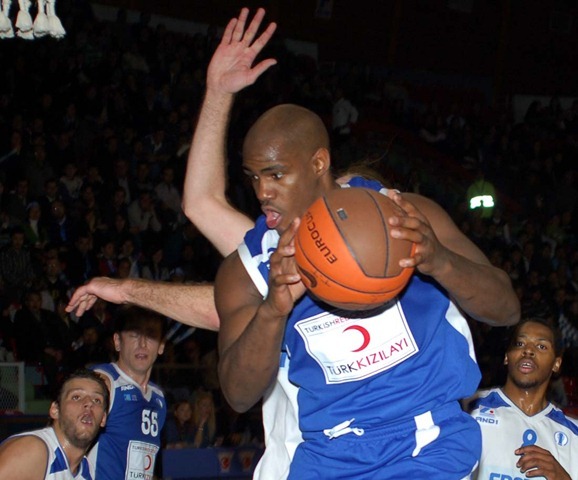 Having graduated from Alabama College in 2003, Dudley played for the Italian Rimini team, and then transferred to Maccabi Rishon team of Israel in the 2004-05 season. The successful rim player transferred to Turk Telekom in 2005-06 season and played for the Ankara-based team for five season. In 2007-08 season, Dudley was part of the team that won the Turkish Cup and the Presidency Cup.This season, Dudley played for 23.47 minutes on average in 32 games in the Turkish League and his score average was 11.3 points, rebound average was 5.6 rebounds and assist average was 1.1 assists. In Eurocup, Dudley played in 11 games and his average scores were 12.3 points, 6.3 rebounds and 1.6 assists. Efes Pilsen signed a contract with Erwin Dudley until the end of 2011-12 season – the next year being optional.